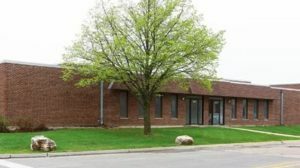 Brown Commercial completes 22,782 SF of sale and lease transactions | Brown Commercial Group, Inc.
Brown Commercial Group has completed the sale of a 12,450-square-foot building in Schaumburg, Illinois, and the lease of 10,332 square feet on two acres of land in Sugar Grove, Illinois. Both transactions represented corporate growth for companies in Illinois. In the first transaction, Brown Commercial Group senior vice president Trinity Scurto and sales associate Daly Guzaldo represented the buyer, 1390 Wright LLC, in its purchase of 1390 Wright Boulevard in Schaumburg from West Jeff Real Estate Partners. 1390 Wright LLC is expanding and purchased the building to house additional inventory. NAI Hiffman’s Josh Will and Dan Hiffman represented the seller. Brown Commercial Group sales associate Brian Lindgren worked on behalf of both the tenant and the landlord in the lease of 10,332 square feet at 590 Heartland Drive in Sugar Grove to Swenson Spreader, LLC, a division of Swiss manufacturing company Aebi-Schmidt. The building owner is a private investor. The new tenant is expanding from its existing location in Lindenwood, Illinois. This is the second Illinois location for Swenson Spreader and the first for the installation of agricultural implements on trucks. The building has drive-through access and outdoor storage.